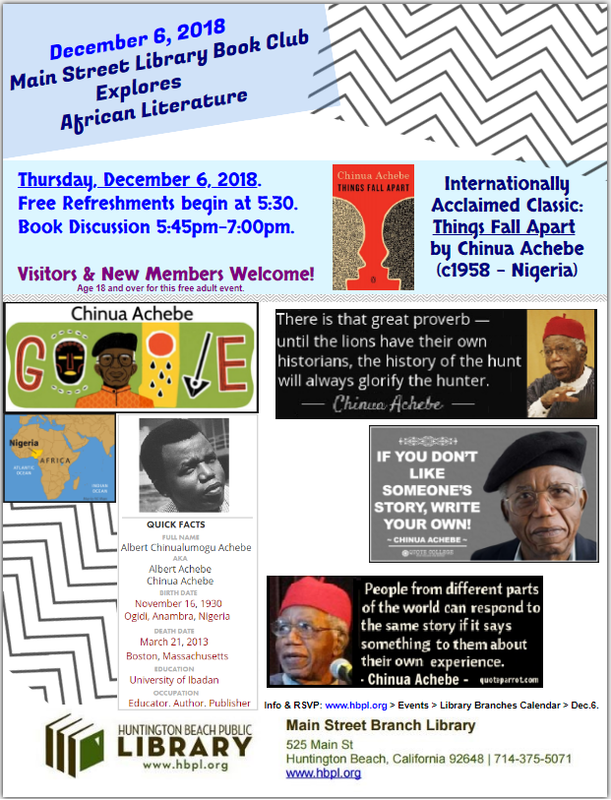 Book: Things Fall Apart by Chinua Achebe (FIC ACHEBE, C.). Free Refreshments Begin at 5:30 pm. Book Discussion 5:45 pm - 7:00 pm. Must be 18 years of age or older for this free adult event. Revisit the 1958 classic by acclaimed Nigerian author Chinua Achebe (1930-2013).